In matters of representation in complex cases, litigators have a responsibility to protect a client’s case and defend their right to invoke the Fifth Amendment. But these ideals become compromised when a lawyer deposes several clients at once, and conflict stems from the complicated nature of joint representation. Many questions arise as to how one should proceed with a deposition in which two clients provide testimony for the same case. Should you continue providing counsel for both parties after a thorough investigation has been conducted on both sides? Will conflict deflate a case and provide grounds for its termination? Before agreeing to joint defense, it’s important to consider all possible outcomes for the case and how you should proceed – or if you should proceed at all. To further investigate this dilemma, we’ll turn to the world of corporate law to better understand how shared custody of a litigator has both negative and positive outcomes. When larger corporations rely on in-house counsel, they effectively invoke their right to representation by a lawyer retained by that organization. In tandem with Rule 1.13, organizations employ the use of an attorney who acts on behalf of the common interest privilege of the company. When an in-house attorney represents another client employed by the same firm, they sacrifice attorney-client privileges with the client for the betterment of the organization. This is because the lawyer’s loyalties remain with the employer, and the litigator will disclose information learned from the employee during the deposition to managers of the firm. Problematic issues may arise during this process, some of which we’ll study below. Litigators should firstly be wary of joint representation when the employee client has engaged in civil or criminal law. Such a dilemma would require the same client to seek defense for their actions by refusing testimony or seeking immunity – actions that exist in opposition to the company’s best interest. Conflict follows when the employee and employer are no longer in alignment and employee termination is on the table. It’s also advisable to stay clear of a situation in which the employee client has taken unfavorable actions the firm would disavow. The employee client would likely seek counsel and proclaim the company was aware of and encouraged his or her actions. Conflict ensues for the lawyer who, while wanting to defend employee’s claims, will ultimately side with the employer for the company’s best interest. Lastly, when an employee client violates a company policy and seeks advice on how to retain employment, the litigator is once again stuck between employee and employer. These are just a few of the conflicts that may develop upon deciding joint representation is the best course of action, and experienced lawyers will know to investigate all potential conflicts before beginning the deposition process. Whose Best Interest Is at Stake? When representing both employee and employer clients in a deposition (or two clients at once in a company case), conflict intrinsically arises from the inability to fairly represent each client. One of the clients will ultimately be at a disadvantage when the company lawyer is required to comply with common interest privilege and act in the best interest of the firm. In some ways, the employee client is not adequately represented, and the process of joint representation quickly comes under scrutiny when considering Model Rule 1.8(b), which states that a lawyer should not use information relating to the representation of a client to the disadvantage of that client. In considering of Rule 1.13, however, information about the employee client will readily be released to organizational leaders when said client is represented by an in-house lawyer. For this reason, it’s necessary for the in-house lawyer to disclose in writing how information will be shared and divided during the deposition process. In certain cases, it is also required that the in-house attorney advises the employee client to seek outside counsel if it’s in their best interest. 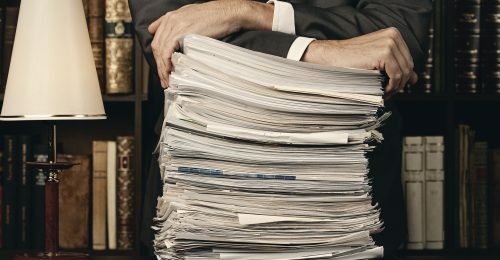 If the ABA Center for Professional Responsibility upholds an in-house lawyer’s mission to act according to common interest privilege by disclosing employee client information but also prohibits client information from being used against the employee client, why do litigators continue to risk conflictual circumstances by representing both parties? Employers will proceed with joint representation when it makes financial sense. Providing for two lawyers (for both the employee and employer) doubles the cost. Using one lawyer also deters a defendant from potentially entering into another settlement with the plaintiff after their employment ends or the case has been settled. It’s ideal for a company to come to a reasonable agreement and settle a case with the smallest fiscal output – a strategy that exists at the core of beneficial joint representation. For things to move along swimmingly and work without any major pitfalls, the lawyer need consider all potential conflicts of interest before proceeding with the deposition. If your investigations prior to the deposition point towards clear sailing, a joint defense agreement can save both the company and the employee money and prevent the defendant from entering into outside settlement. For joint representation to work, consider how intensely one client’s testimony impacts the representation of another, and follow through with actions that are rooted in the best interest of both parties.